I’ve been on a bit of a blog hiatus lately, with everything else going on, it’s hard to find time to write! I do want to end the year on a delicious note though, so I came up with a list of my 20 favorite dishes to eat in Louisville (on the cheap too). Because sometimes it’s hard to know what to get from a new restaurant you’ve never been to. Some of these restaurants are not necessarily my favorites, but they do have that one dish that keeps me coming back. 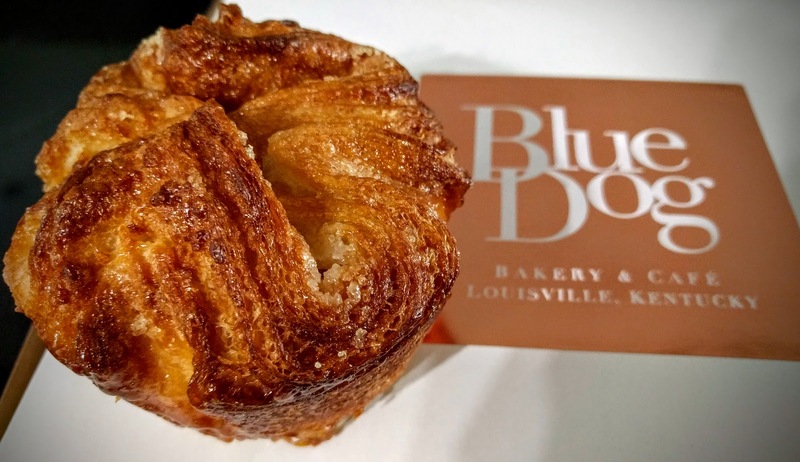 Pronounced “Queen A mon”, this is a flaky pastry glazed with sugar, crunchy on the outside and soft on the inside. You can only get these on Fridays and Saturdays; they go fast so get here early in the morning. 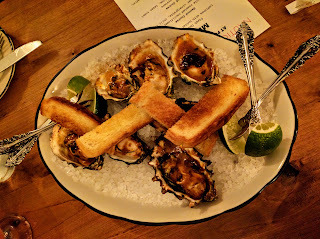 The oyster is smothered with butter, topped with chipotle seasoning then grilled. Squeeze a bit of lime on top and eat it with the buttered toast. It’s heaven on a shell. 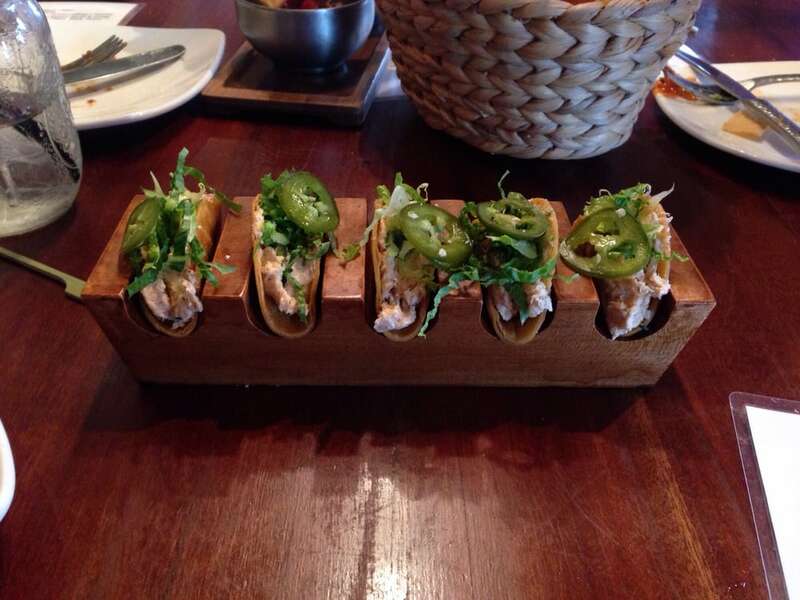 Tiny tacos with a big taste inside. These tiny tacos is filled with crispy shallots, capers, pickled jalapenos, lettuce, and lemon oil. 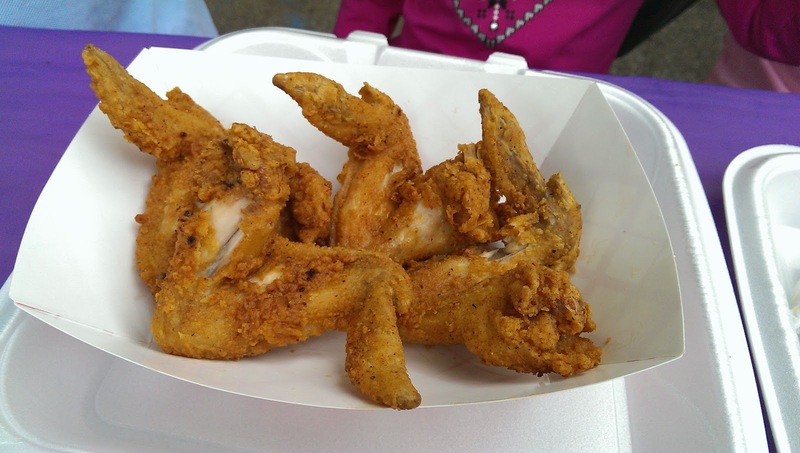 Fried Chicken Wings. De'Ville's Grille and Catering. 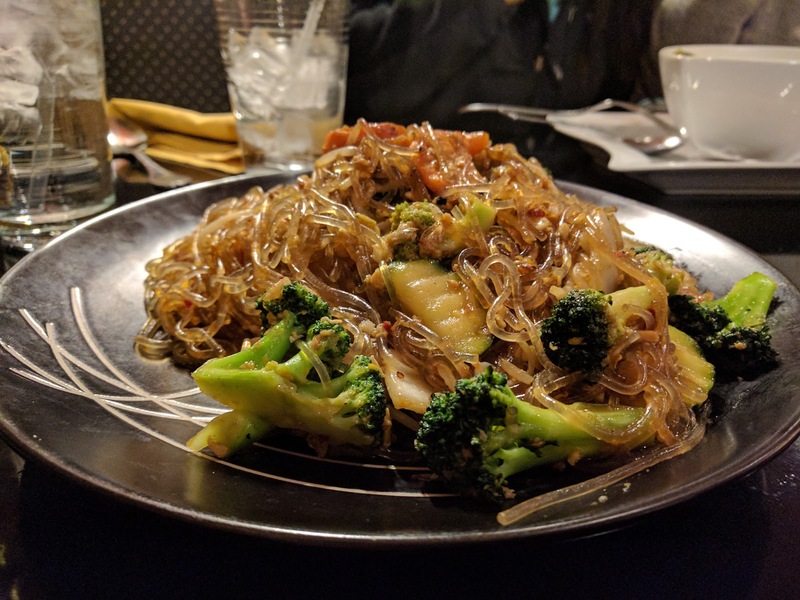 Sweet potato noodles that’s clear, chewy, savory and delicious. It makes the visit to this pricey establishment worth it. It tends to be on the sweet side, so ask for less sugar. Whenever I crave Vietnamese food, I head straight here. 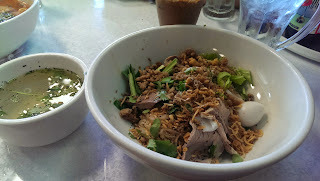 This dry rice noodles dish, topped with pork, quail eggs, shrimps and a hot broth on the side is my comfort food. This calamari is beautifully executed, the fried calamari is fresh and goes perfect with the tomato sauce, black olive aioli, capers, and pickled Italian peppers. Sometimes, the simpler the better. You can’t get simpler than these lightly seasoned fresh thinly sliced salmon. 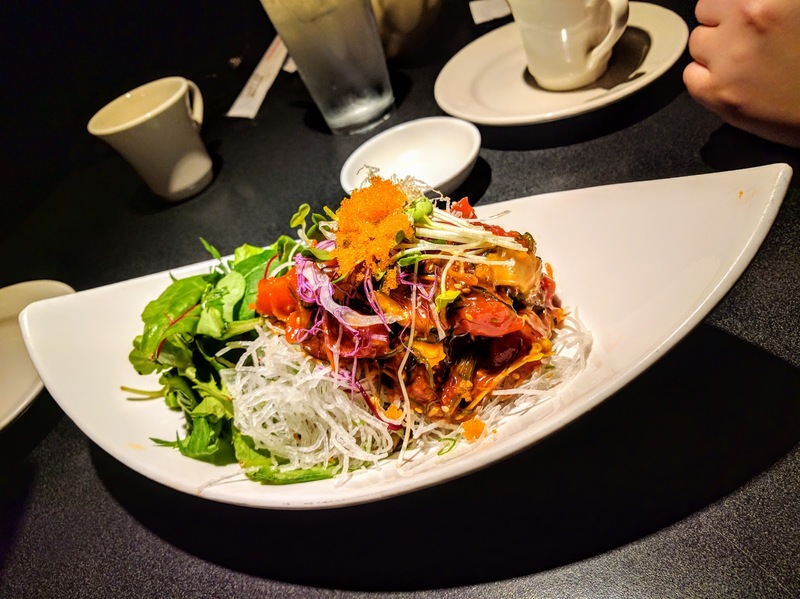 Equally delicious is the tuna poke, a Hawaiian raw fish salad that’s often served as an appetizer. 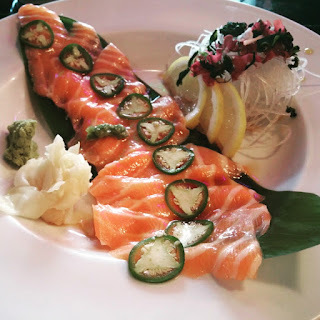 A friend told me the salmon belly is her favorite, it is on my to eat list next. 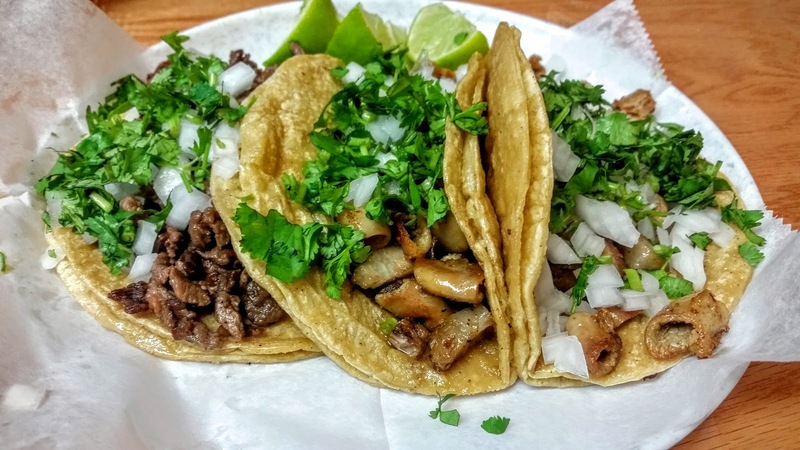 I’ve eaten at A LOT of tacos places, and honestly this is the best authentic taco joint in town. It’s in the back of a grocery store, their crunchy and delicious tripe taco ruined me for any other places. It’s BBQ tofu and veggies goodness on top of soft sticky and crunchy rice. 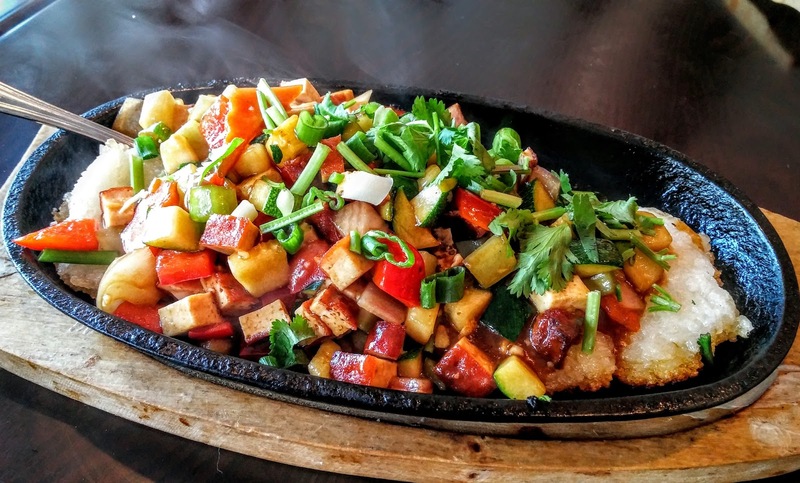 A delicious fusion of Vietnamese and Western food. 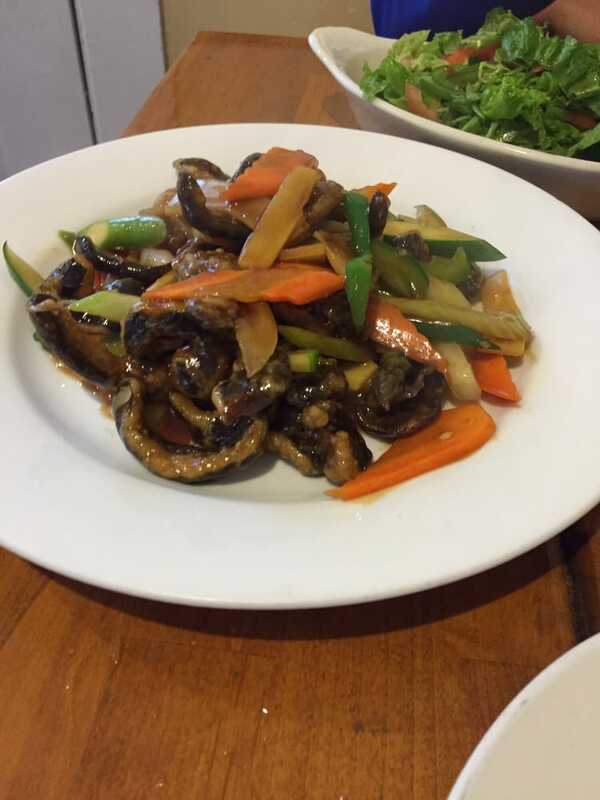 The Shiitake mushrooms is sliced, battered and fried then sauté with an assortment of vegetables in slightly tangy thick sauce. If vegetarian food tastes like this all the time, I wouldn’t mind giving up meat! 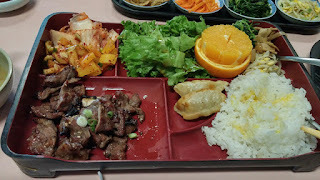 My favorite here is Kalbi, savory Korean beef short ribs seasoned with a special ingredient, pear. Get it as part of a bento box for lunch, as an entrée for dinner or grill it yourself at the table. 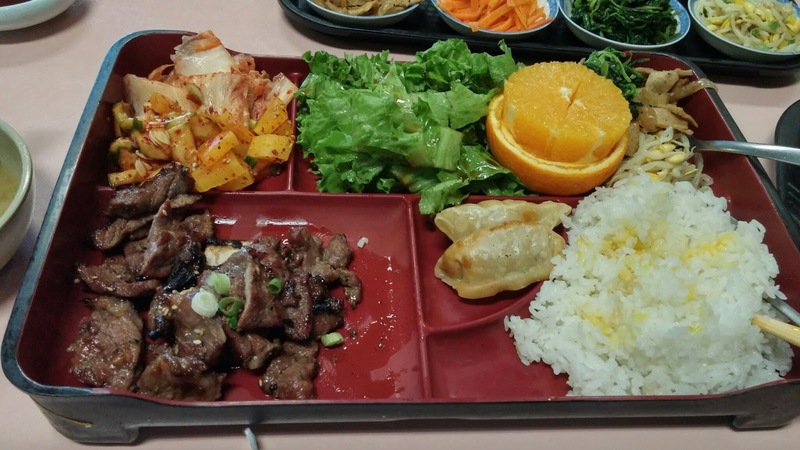 The banchan or Korean side dishes that come with the entrees are plentiful and generously replenished. 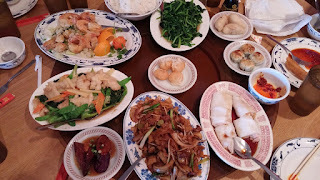 There are at least 20 different items here that are my favorite, but the pecan shrimps is on the top of the list. 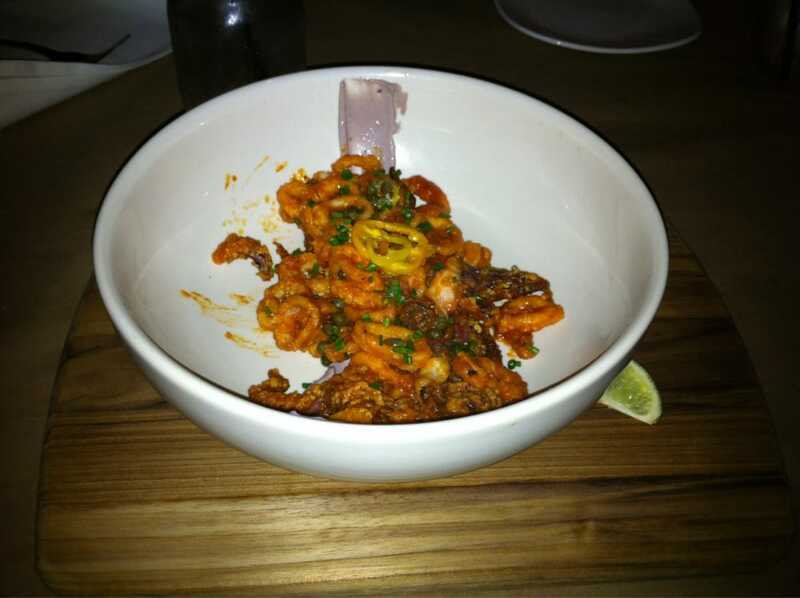 These plump shrimps are served on a bed of lettuce and crunchy roasted pecans. Slight sweet, the waiters nicknamed them the “cracked shrimps" for their addictive nature. 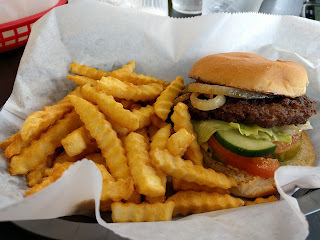 For only $4, you can’t beat the made-to-order, never greasy, and crispy around the edges burger at Lonnie’s. Get the deluxe burger as it comes with all the toppings. Everything from this nostalgia inducing Chicago style diner is cheap and delicious. 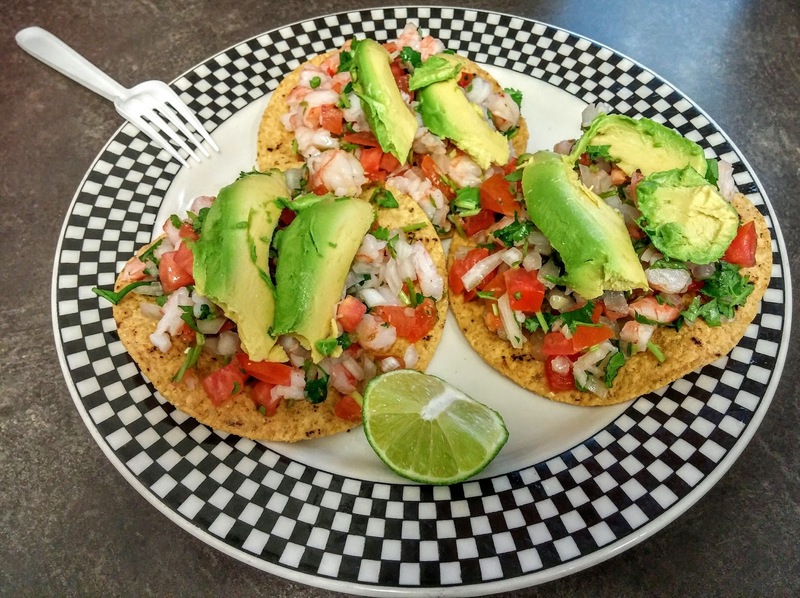 Ceviche is a popular South American seafood appetizer, the seafood is cooked/marinated in lime juice, seasoned with salt, mixed with chopped cilantro and sweet white onions. The shrimp ceviche here is the perfect combination of freshness and crunch. We always end up ordering an extra portion. Kimbab is a Korean roll, made with steamed rice, meat and/or vegetables and cut into bite sizes. 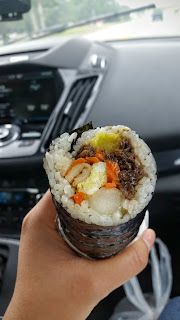 My favorite in town is the grab-and-go beef kimbab at the counter of choi’s market for $4.99. Your other choices include, triangle, vegetable, cheese, avocado or tuna, prices range from $1.99 to $4.99. 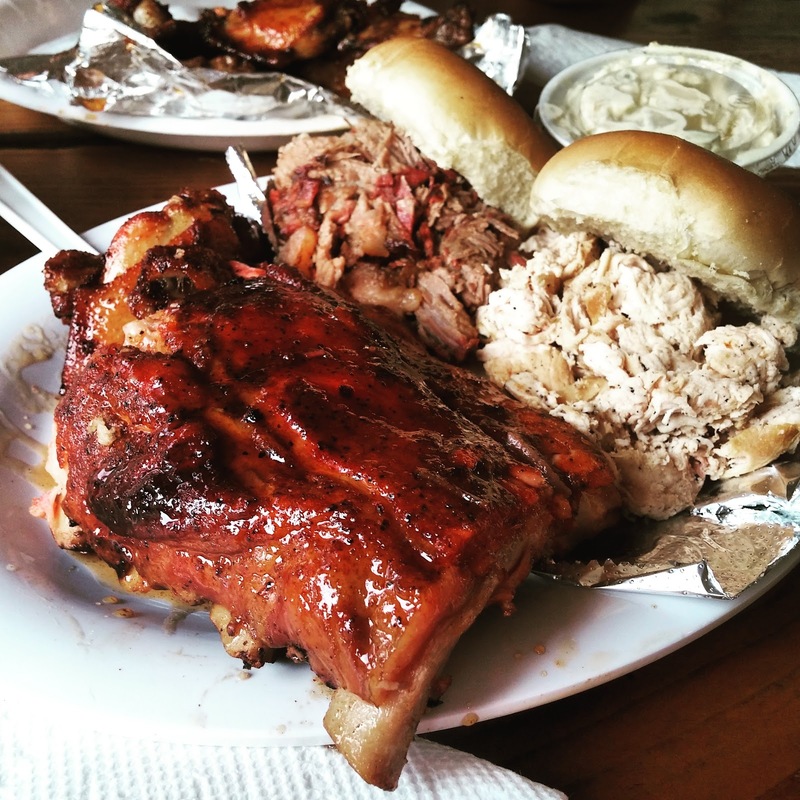 It’s worth the drive to Fairdale for a taste of the sweet and smoky wings and fall-of-the-bones ribs at Shack in the Back. The BBQ meat is well seasoned and so good you don’t need to slather it in sauce. 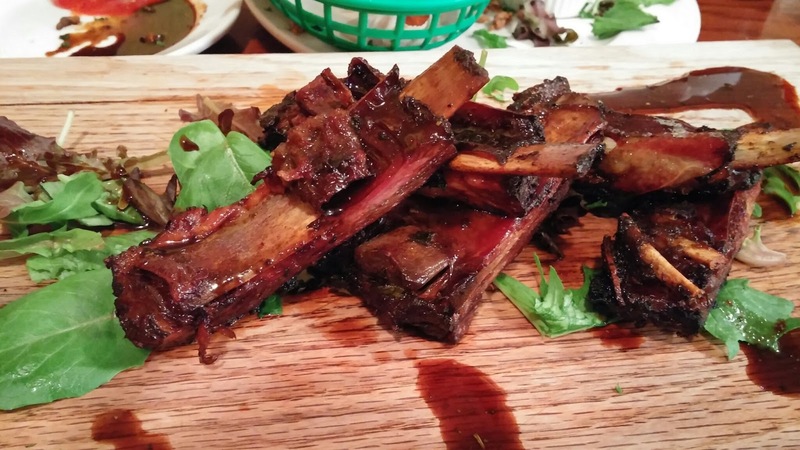 I wasn’t a fan of BBQ ribs before, but they changed my mind. 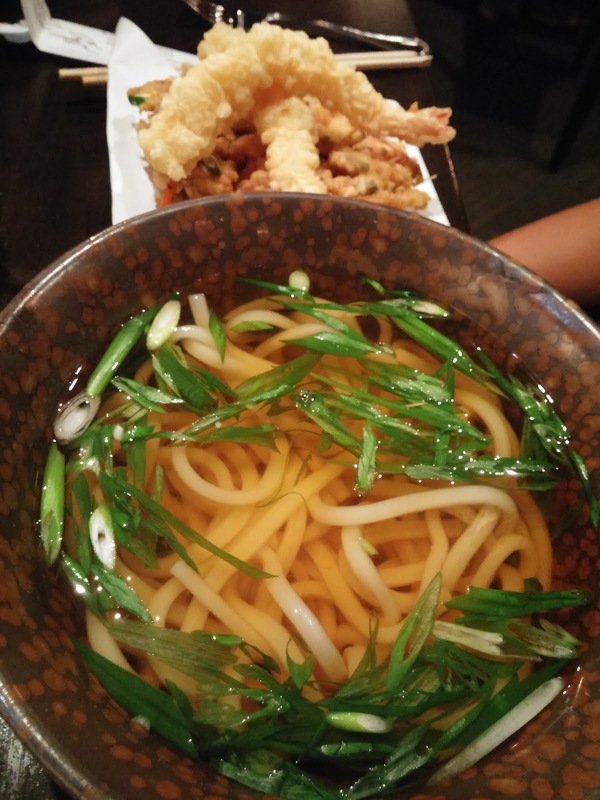 When the weather gets cold outside, I dream of hiko-A-mon’s steaming bowl of udon noodles with tempura vegetables and shrimps. The light and flavorful broth, the soft udon and the crunchy tempura always satisfy my food cravings and warm my soul. 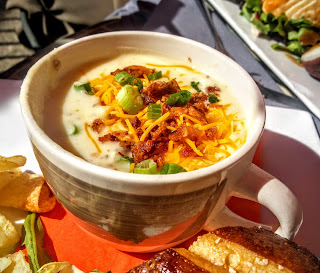 The creamy, thick and garlicky potato soup at Orange Clover is worth the trip across the bridge, even with the toll in place. It’s a hearty and goes great with other delicious items on the menu. I tend to avoid this popular dive because of the perpetually long waits, spotty service and cramp space. But the ribs keep making me wanting to come back. Here’s to a whole new year of delicious and cheap eats! Frank and I are working on a new food related project, so I hope you’ll check back.